Clients who can’t make the trunk shows are always welcome to drop by my workbench and see what I’m creating before it debuts in the newsletter, or joins the next trunk show, or finds a spot in the online shop. 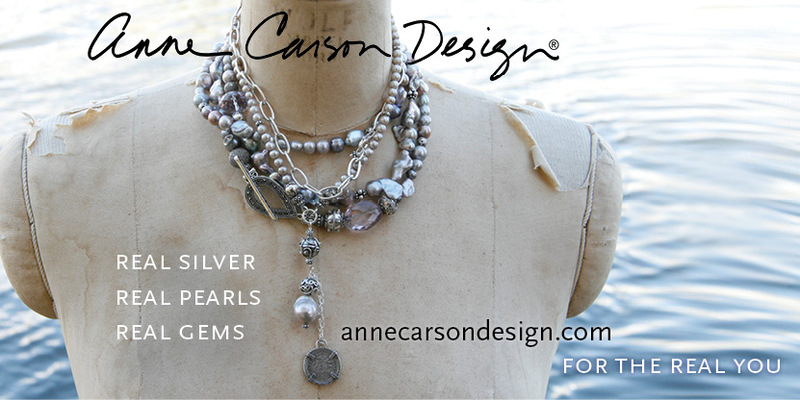 Just email me for an appointment over the summer – info@annecarsondesign.com — I’d love to see you. 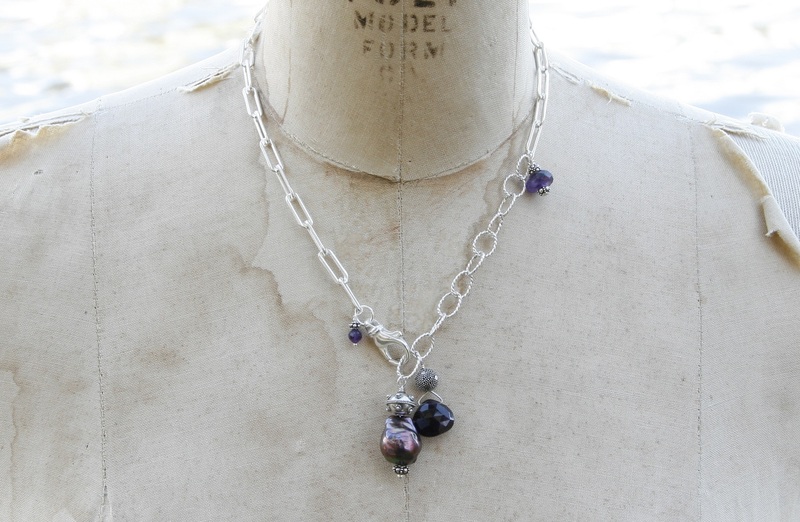 A light, versatile chain finished with a baroque pearl and three amethysts in different sizes. Two necklaces layered for impact. The sterling silver chain with a large, decorative lobster clasp has two pendants. A big, showy pale blue aquamarine and smaller version of the same stone. 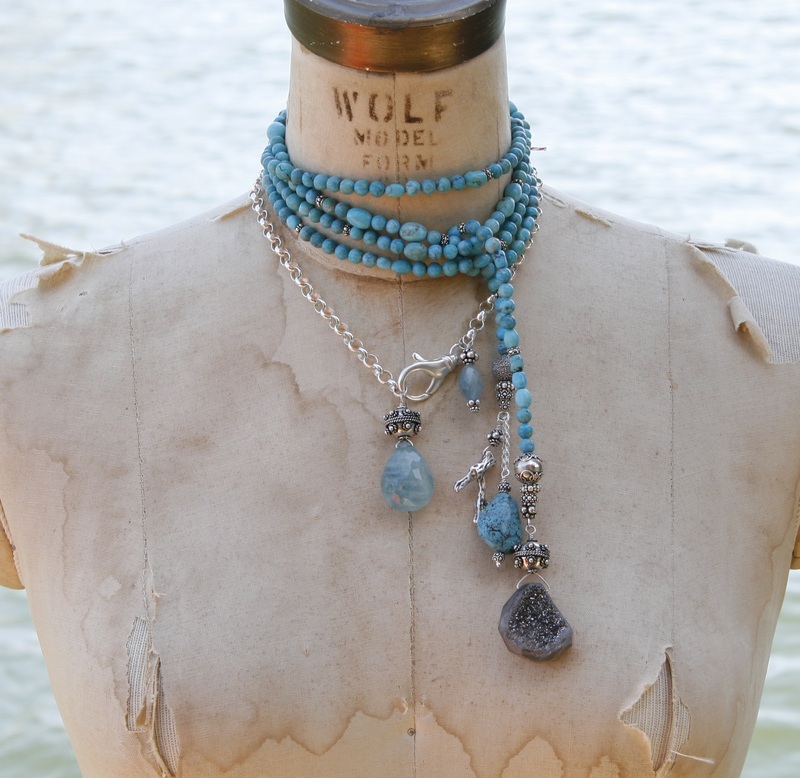 It’s paired with a rope turquoise beads finished with a larger pieces of turquoises and quartz, accented with silver beads. A big, bold, silver link chain with eye-catching pendants. 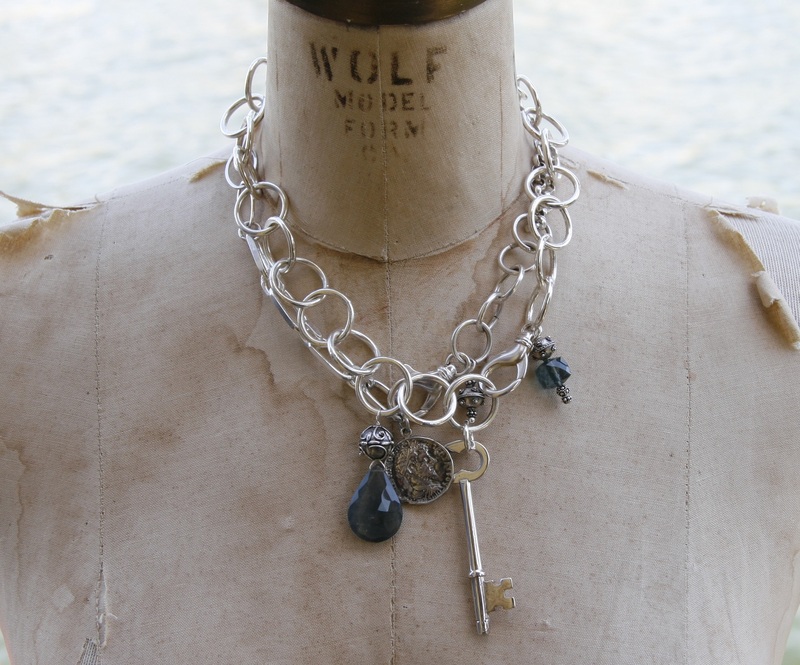 A faceted moss green aquamarine; and antique Roman coin; and a sterling silver plated vintage Italian key. 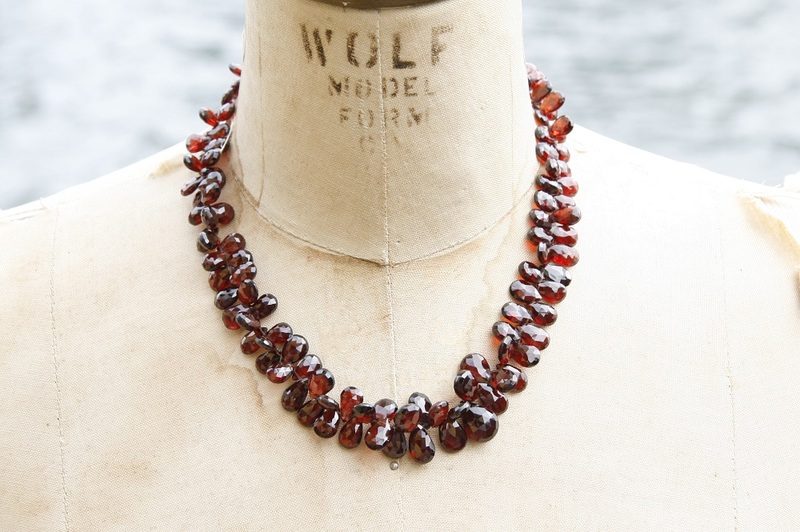 Few necklaces have as much impact as this collar of cranberry-red garnet briolettes. That’s just the pieces I’ve had time to photograph. For more new pieces, including bracelets and earrings, sign up for my newsletter here.